here in LA the heat has been intense. i’ve been inside, affixing pressed flowers from my roadtrip to the pages of my sketchbook. usually i use packing tape, but thought i’d try a different method. i used quite a bit of modpodge under, and in some cases on top, of each flower. life is an experiment. let’s see what happens. next time i travel i’m going to use an old hardback book and a couple of thick rubberbands to press my flower collections. this time i just used my kia car manual. worked fine, but i think something more romantic like a vintage book will be better. i know there are flower pressing kits, but don’t want to spend the money on a contraption i won’t use consistently. i’m sure you’ll offer your opinions and i look forward to reading them. perhaps if i time travel back to victorian times i can interview some little old ladies about their methods. any chance i have to interview a LOL about anything, i’m on it! weren’t the victorians really into flower pressing? i could google that to find out i suppose, but that wouldn’t be as enjoyable as time traveling or having one of you give me some insider tips. would it? no no no it wouldn’t. this is my big visual journal/sketchbook. only 1 page left. 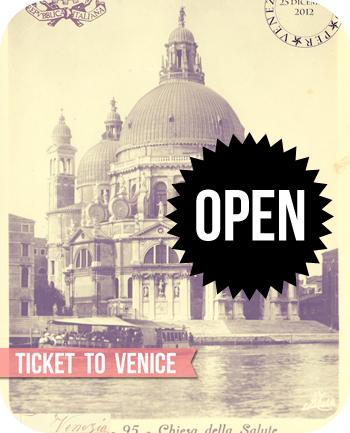 i keep saying when i finish it i guess i’ll have to return to venice to the little store where i bought the portfolio i used to create it (i sewed the pages into it). i also said…when i ran out of my bag of divine angelina’s hot chocolate mix i purchased in paris back in 2011 i’d have to return there. this giant bag lasted me a few years. i used it only on special occasions. temps must’ve dropped below 50 on the night in question in the photo above. oh and while i’m at it, the cup above has so far survived without being broken. i got it at a craft fair in budapest. when it breaks (knock on wood) i suppose i’ll have to return there too. that’s sister and i in norway. see those white glasses? bet you know what i’m gonna say next. i guess you know what i was watching while i was getting some sketching miles on my pen today. i’ve begun my SNBC (stop nail biting campaign). in about a week i’ll be cured (until my next roadtrip). i have a travel journal flip through planned. at the womens’ art colony/camp/commune (still working out a good name!) i hope someone will specialize in manicures and pedicures for peeps like me who are not into spa treatments of any kind. it’s imperative that we have a diverse group of women from all walks of life. dontcha think? lots of weirdos. also i was thinking… someone could teach me to knit. and i need to brush up on my crochet skillz. just look at this pic of dearest mama moss. from the 1940’s i think. she was just a girl. carol and i wish we’d have inherited her thick hair, but we didn’t. dottie got all the hair. these are pics of pics so not the clearest. but wait there’s more! mama moss in the middle with some of her sisters and brothers. this must’ve been in the early ’70’s. If. I learn how to rug hook or make chains out of gum wrappers, can I visit your commune colony ? absolutely! we’ll have extrovert days on which those members can roll out the welcome wagon for visitors. gum wrapper chains in particular are sure to attract the introverts out for a chat as well! we’ll gather on the bluffs above the sea in hammocks strung between trees and large wooden tables with umbrellas. 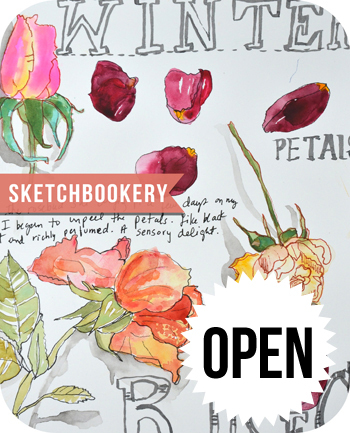 bring your sketchbook! Mary Ann, what a joy to have found you and your blog! We may never get to meet, but I shall have the pleasure of following your blog. And that’s pretty awesome! I’ve put pressed flowers on pages by using a sewing machine, and stitching a pieces of clear page protector (cut to size) over the top. I have also used tape (green painters tape, and washi tape, and clear gel medium, as well as modge podge like you have. I will be your knitting guide at your women’s group!! sounds like a blast. My kids always say I’m a big weirdo. sewing! excellent idea! weirdo deb the knitting guru. perfect! oh that is sweet and wonderful linda. going to carp this summer? or you’ve already been? Ha! You and Mom … always losing your glasses, sun and otherwise! That is another one of the ways you are just like her. Add it to the list. Secondly, those dried pansies look like they are embroidered on the page. So cool, the texture when they dried. i recently repurchased a pair of sunglasses (the ones i had in germany)i thought i’d lost. found them the next day. so nice i have 2 pairs. except i never have both together only 1 pair at a time. cuz i keep losing the other pair. hmmph! Please add me to your waiting list for the commune. I’m pretty much a weirdo introvert! And we could travel together but separately too! for travel: bulldog clips to hold 2 pieces of cardboard together. and plain printer paper between each flower you’re pressing. Wonderful post Mary Ann, I so agree with talking to who is not apparent to others. In my case it’s Aunt Martha and Aunt Vonda who do their best too keep me on track. oh i love those names, martha & vonda. the old dear aunties. mmmmmm…so nice. Love reading your blog and your thoughts! Love all the pictures of the ordinary and extraordinary. Have a great day day :). I would come and visit your colony, for certain. I think I have a book on pressing flowers. If I still have it, you are welcome to it. Just send me an email! at this time i’m good, but may take you up on your offer sometime. thanks sandra. yes. you come visit us. Flowers, leaves, anything from nature that can be pressed flat, I collect. Boxes and boxes. (The stuff is stored between sheets of drawing paper in wooden boxes.) I tried a microwave press – didn’t impress me and I never use it. I have a large wooden botanical press with blotter sheets that I’ve had for years. It works really well, but of course, not for travel. Then I got a small traveling press which I used to keep in the camper. But on a regular basis, I use a heavy vintage book on wildflowers. Probably not a good idea for an antique book, but live dangerously I say. Often, the flowers go into any book that happens to be near the door. 🙂 I’m experimenting with glue. Botanical glue gets messy and hard. I think gel medium will work for some things – I’ll let you know. Tape can last a long time before it gives up the ghost. Bottom line I guess is: use stuff that doesn’t attract bugs, and vegetative material is fragile – no roughhousing with journals. But the ephemeral nature of our books is a nice idea, too. Love the old images. I let go of almost all of mine. somehow i must get you out here to california. you will be a key player in the womens’ camp. in fact i think you can write the newsletter. or be the editor or something. it will be like a great minds collective. writers on writing, poetry, life, nature. Did you know there is a spoof “Pressed Fairy Book” – quite funny if rather warped! And when you are next in France, I will lend you my old stone cottage for a sketch retreat. oh i have often dreamed of your old cottage and imagined you tinkering away in there. sewing curtains and cloaks and period costumes. how i loved that photo of you and the 2 other bearded fellows on facebook. so joyful and ALIVE!! Ha! That photo was from a GREAT party! Stephen de Toit, I live in southeastern France, near Geneva. Where are you? That stone cottage sounds mighty appealing! du, not de! Mes excuses! Near Richelieu, on the Southern edge of Touraine. PS: Mary Ann, have you really dumped your big camera for your iPhone? Which iPhone? Which editing software? Inquiring minds . . .
iphone 8 plus is my go-to camera. i use photos on my imac, but these days i am very lazy and am going direct from camera to computer to blog. also use photoshop to brighten/lighten (works better for brightening than photos app) and love to use the TOTALLY RAD filters on my really crappy photos to make them more dreamy. have used TOTALLY RAD filters for 6-7 years or so. i tend to find things i like and stick with them. Apparently my mother resides in the ceiling fixture in any room in which I find myself staring upward, having a conversation with her….does that make me weird enough for the women’s group? I have more to add to my creds, if needed. Just sayin’! no creds needed for you! you’re in! funny i often look up at the ceiling when talking to mama moss. ha ha ha ha ha! why we doin’ dat?